Coconut oil is the most popular oil used for hair care around the world. Most of us, have been started using coconut oil for hair from very young age and have never tried to dig out the truth behind it’s age-old glory. Do you want to know the story behind the magic of coconut oil for hair growth? The chemical composition of natural Coconut oil includes a pack of diverse fatty acids. Saturated fat is one of the essential elements found in the tissues of a human body. Several types of fatty acids are found in our body. They have lots of beneficial effects on hair. This article focuses on the magical benefits of the Essential Fatty Acids (EFAs) enriched Coconut oil for hair growth. The Lauric Acid is a 12-carbon fatty acid, which is highly abundant in coconut oil. This fatty acid breaks down into the Monolaurin substance in our body. The Lauric acid, as well as the monolaurin, can eradicate the microbes, such as bacteria, viruses, fungi, etc. Saturated fats can lower the 5-alpha reductase. It is an enzyme responsible for catalyzing the testosterone hormone into DHT. 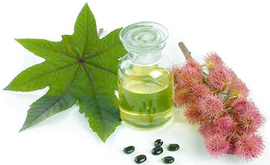 The testosterone plays a key role in healthy and faster hair growth. Saturated fats can stop the secretion of lipoprotein(a), which is one kind of sticky substance that is responsible for hair loss issues. When people suffer from EFAs deficiency, they often experience diverse hair related issues, such as lifeless and brittle hair, oily scalp, dandruff attack, greasy hair, itchiness, hair loss, etc. Research shows that when the animals were totally deprived of the EFAs during the experiment, they experienced both hair loss and swelling of their sebaceous glands. The swelling sebaceous glands often secrete sebum at an excess rate. Excess Sebum often leads towards hair loss. However, the dermatologists believe that there must be a positive correlation between the excess sebum secretion and the hair loss issue. The Fatty Acids help the Coconut oil to penetrate the hair shafts easily and supply essential nutrition needed by the hair. 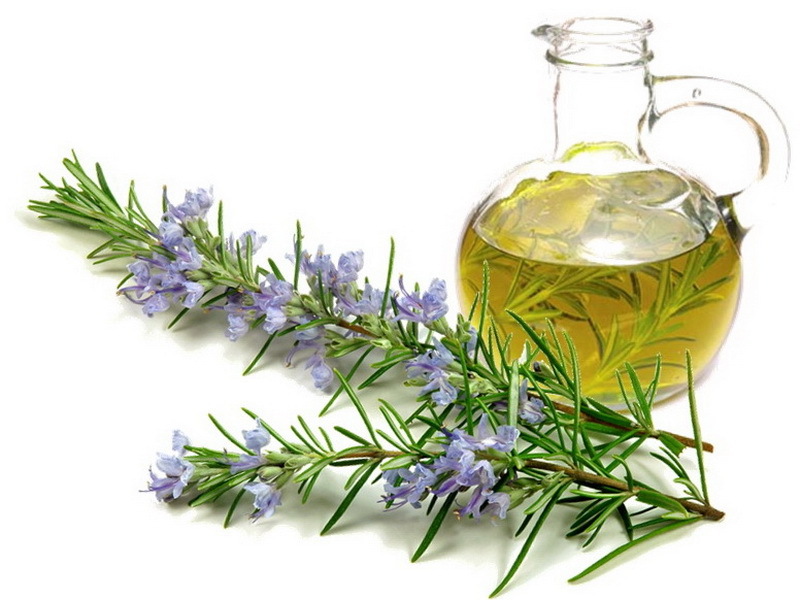 This, Fatty Acids help to make the hair more radiant, thick, and bouncy. The Coconut Oil diet can effectively reduce the overall weight from the body without compromising with the hair-health. As the coconut oil is enriched by a group of fatty acids, it’s oily touch makes the scalp massage more enjoyable. Regular massage on the scalp with this hair growth oil improves the blood circulation on the hair follicles. It also boosts the supply of Oxygen to the scalp-cells. Thus, constant application of the Coconut oil for scalp makes the scalp healthy and enables it to fight diverse issues, like, scalp sores, irritation, rash, etc. Moreover, a healthy scalp is the precondition of faster hair growth and maintain the health of hair. Interestingly, our hair is totally made up of protein composition. This protein gets reduced due to environmental impact as well as overuse of chemical-based hair products. Protein-loss of hair shafts leads towards weak, broken and unhealthy hair. Coconut oil is the only hair growth oil that serves as a protein shield for the hair. You might be curious about how it happens. The Fatty Acids of Coconut oil has the power to reduce this protein loss from both the roots and strands of hair. 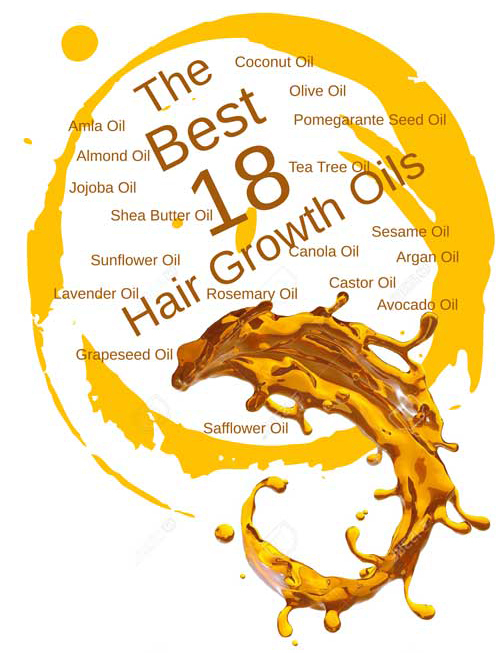 The lauric acid of coconut oil works more effectively compared to the minerals and hair growth oils – like sunflower oils – to improve the hair health. Adequate Moisture is a pre-requirement to get healthy and strong hair in a natural way. The regular use of adequate coconut oil for hair growth keeps the hair shafts moist, lovely and soft. The coconut oil can easily penetrate through the hair shaft and make the hair internally strong. The hair-moisture naturally goes out due to diverse reasons, such as environmental impurities, sun-heat, the impact of regular chemical-based shampoo or hair products, etc. However, this coconut oil has a great capacity to retain moisture to the hair. The fatty acid contents of this hair growth oil do not allow the hair-moisture to evaporate or washed out. Moisturized hair can fight against diverse hair problems like hair breakage, split-ends, brittleness, hair damage, roughness, etc. Who does not want his/her to be shiny, silky and soft? Coconut oil helps to get well-moisturized and naturally strong hair. This hair growth oil conditions the hair from their core and protects it from the heat as well as environmental damage. This deep-conditioning makes the hair shiny, soft and silky. More to say, the Coconut oil serves as a better conditioner for the hair compared to any synthetic and chemical-based hair care products. Both the scalp and the hair are vulnerable to bacterial content. The Coconut oil can serve as a cost-effective remedy to this problem. Coconut oil contains anti-fungal, antibacterial and antiviral properties. 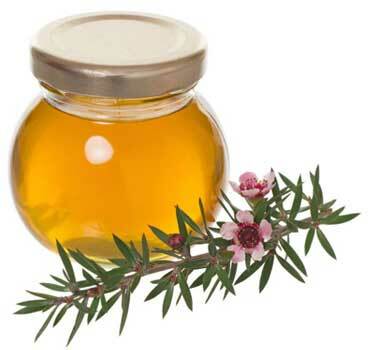 These properties prevent the hair from dandruff, lice and other kinds of bacterial, protozoan or viral infections. These potential problems often lead to unwanted hair fall and limit the natural growth of hair. Chemical-based shampoos and hair products leave the hair dry, jagged, hard, dull and bleached. People often complain that the comb cannot go smoothly through their hair after regular shampoo. The coconut oil is naturally composed of saturated fatty acids. The oily effect of these natural fats can counter the dryness and roughness of hair and make the hair smooth and silky. This is another great benefit of using Fatty Acid enriched Coconut oil for faster hair growth. During the hot summer days, people often face scalp sweating. However, this might lead toward other complications like physical weakness, damp hair roots, odorous hair, etc. A scalp-massage with Coconut oil can offer a quick remedy for this problem. As Coconut oil contains cooling properties. It can easily penetrate through the hair follicles and provide a soothing effect. Regular use of Coconut oil in scalp massage. It can help people with hot heads to get rid of excess scalp sweating. Coconut oil offers diverse benefits, such as protein-loss protection, moisture retention, hair nourishment, anti-aging properties, hair vitamins, etc. All these factors contribute in making the hair healthy from the inner-side. It maintains the health of natural hair. You can use the Coconut oil for curly hair growth as well as for normal straight hair growth. The structure of the hair bears a hollow space from the inside, which can be compared to a tube. The Coconut oil can penetrate this hollow space completely. It fills up the hair shafts and makes them look fuller and denser. The Coconut oil is a great natural source of antioxidants, hair vitamins, and nutrients. The contents of Coconut oil supplies vitamin E, iron, vitamin K, etc. These hair-vitamins prevent hair fall; escalate faster hair growth; and makes the hair naturally healthy. Therefore, the regular use of coconut oil for hair growth, strength, softness, and sheen can work more effectively than any other hair growth oil. Coconut Oil naturally bears an engaging and refreshing scent. Therefore, regular use of Coconut oil for hair benefit also keeps the mind fresh and relaxed. The Hair fibers often get damaged due to inadequate water consumption. For instance, excess water retention makes the hair fibers swelling; whereas, excess water absorption makes the hair fibers shrinking leading towards ‘hygral fatigue’. Regular use of the Coconut hair oil can prevent can prevent ‘hygral fatigue’ and keep the hair healthy. As the natural Coconut oil is composed of a group of fatty acids, they serve as anti-dandruff agents. These agents can work far better in removing dandruff compared to any chemical-based anti-dandruff shampoo. Therefore, regular scalp-massage with the Coconut hair growth oil can check dandruff efficiently. Hair protein gets damaged due diverse reasons, such as excess solar heat, environmental pollutants, the impact of chemical-based hair products, regular hair wash, etc. Regular use of the Coconut hair growth oil can reduce protein loss from both the damaged and undamaged hair. The natural Coconut oil is rich in Lauric acid that bears high affinity for the hair protein molecules.And, it can penetrate inside the hair shafts due to its lower molecular weight and serves as a protein-shield. Coconut oil prevents the hair from getting gray. The women who use coconut oil for scalp massage on a regular basis, their hair remains dark for many years even they become old. Because the coconut oil delays the hair graying process and prevents untimely hair gray issue. Hair loss occurs as a side effect of diverse causes, such as loss of hair protein, lack of hair vitamins & essential nutrients, hygral fatigue, dandruff, excess Sebum secretion, loss of hair moisture, scalp sores, scalp swelling, lack of enough blood circulation in the hair follicles, etc. The regular and constant use of Coconut oil for hair growth provides a solution to the above-mentioned problems and effectively contributes to the hair loss reduction in a natural way. 3 What Coconut Oil Prevents?